A couple months back, you may have noticed as you came over the McInnis Overpass to Quayside Drive a lot of digging activity in the round-about at K de K Court. 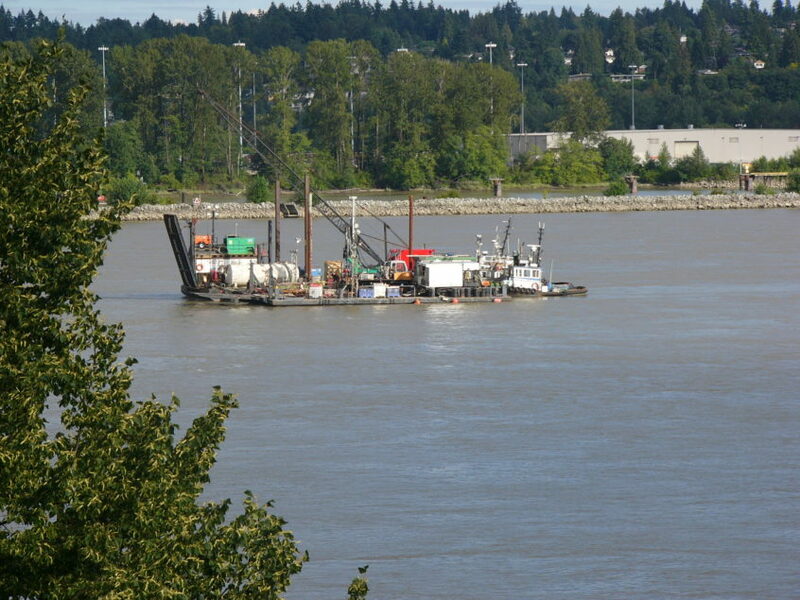 Fast-forward to the past week and you may have noticed the barge moored out in the river drilling into the river bed. What do these two things have in common you may wonder? Metro Vancouver (MV) is planning to construct a major regional infrastructure project called the Annacis Water Supply Tunnel. A MV contractor will construct the tunnel under the Fraser River between the City of New Westminster to the north and the City of Surrey to the south. The tunnel will be approximately four metres in diameter, and will house a steel water main that will be connected to the existing distribution system. When complete, this project will increase water supply capacity and ensure continued reliable delivery of clean, safe drinking water to the growing region. Construction is expected to take place from 2020 to 2024. 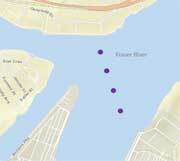 For more information on the drilling taking place in the river, CLICK HERE. If you wish to contact Port Metro please follow this contact information available in the link.